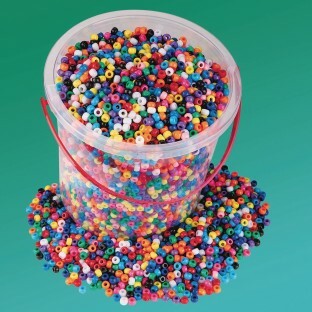 Over 6,500 of our best-loved beads. All in a portable, stackable, storable bucket! All the bright colors kids love. Over 6,500 of our most popular pony beads in a portable, stackable, storable bucket with handle! Make projects stand out with all the bright assorted colors kids love. Beads are 6mm x 9mm with large 3.5mm holes. 4 lb. bucket. Braclets key chains creating fun patterns on string and more! A staple at our summer camp program. 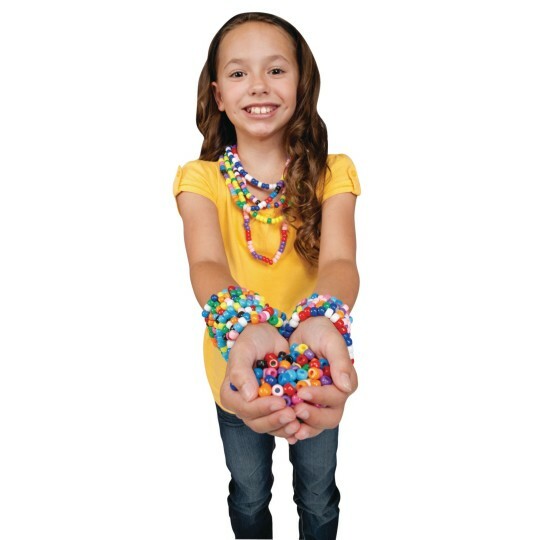 The kids LOVE THESE BEADS!! Great variety of colors. Helps children express themselves. Promotes learning in areas of spelling vocabulary personal expression and artistic exploration. My kids make friendship bracelets to kick the summer off! !